Obaland Music Awards 2018,Awardees list. May 24, 2018 June 27, 2018 Obaland Royal Award1 Comment on Obaland Music Awards 2018,Awardees list. The Obaland academy board members in collaboration with Edo Reggae Festival Inc. (ERF.INC) and the Hon.Commissioner of Arts and Culture, Tourism & Diaspora affairs, Hon. Osazee Osemwegie Ero. We hereby announce the Obaland music awardees – under the national category " Obaland Music Awards" 2018. 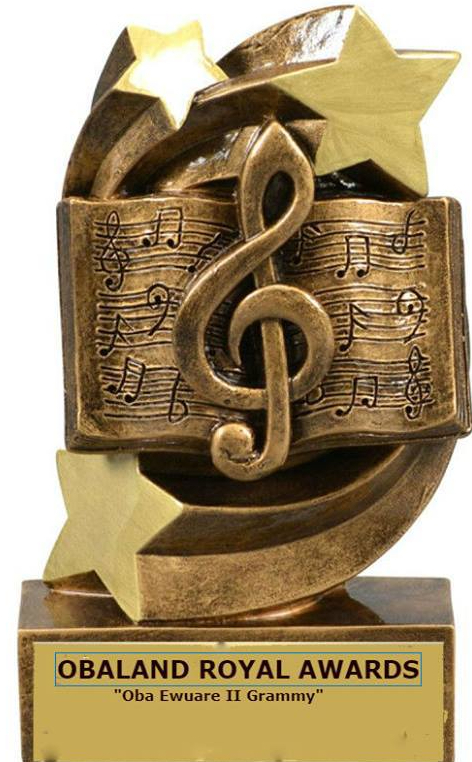 The honourees are as follows: Musicians/Comedians BDRA - Best Edo … Continue reading Obaland Music Awards 2018,Awardees list.